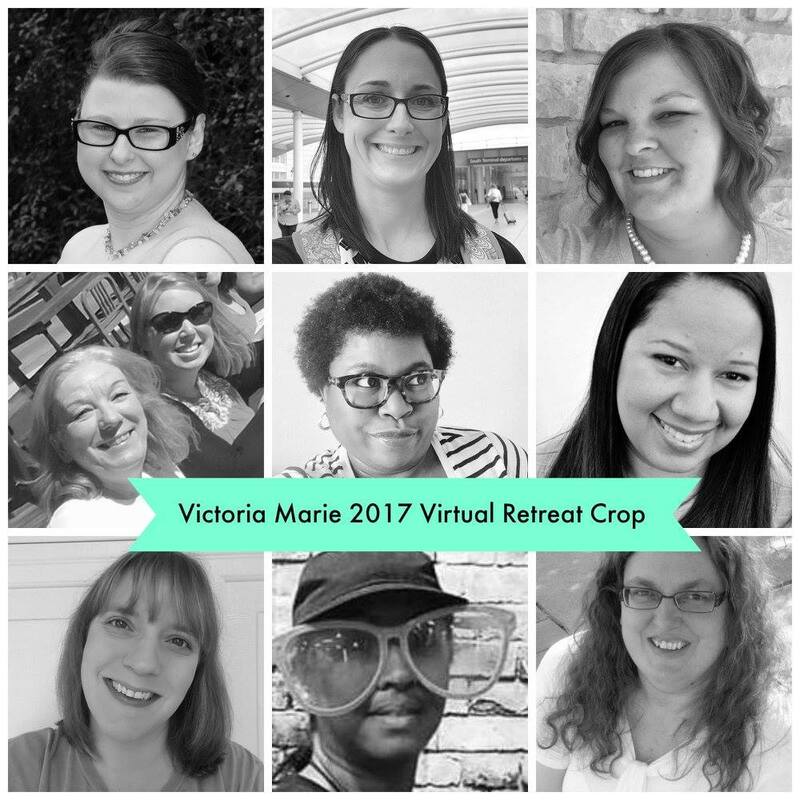 As I've mentioned before, I'm hosting one of 12 challenges for the Victoria Marie Virtual Crop/Retreat. These challenges make up the virtual crop portion of the weekend. The crop will run concurrently with the actual retreat! Victoria made the elegant graphic below to promote the event. Victoria is posting snippets from the retreat and it looks like so much fun! "Your Crafty Name Recipe Challenge Recipe"
You know those name generator “tests” that come up in your social media feed? The ones where you are asked to use the first letter of your first name and the last letter of your last name or birth month or whatever and you get a new themed named? Well instead of finding out that you should have been named “Princess Pop Dot” or “Pasty Scissor Face”, your actual name will determine which products you MUST use in your project. You can also use your MIDDLE INITIAL for bonus points! K – Kraft cardstock/embellishment, khaki, kisses, kindergarten or kid photos/stories. Now let me give an example using my name and how it came together in my layout. I decided to start scrapbooking my class with Ryan Reaveley. Naturally I loathe how I look in photos, Stupid steroids make my look like a chipmunk. 🐹 The punny title is practically essential given I live with two boys who come up with them at every possible moment! Watch the video (COMING SOON! - Check back in a few hours) for the chaotic process. I had the camera battery running down at the end and I did a booboo! Do you see what I forgot? It's not the extra aqua pieces near the top (I felt it needed more aqua in that pink area). Yeah it's my letter "V". Oops! 😳 I had my vellum leaves ready, but didn't think they were the best fit. The view masters were better, but the battery on the camera was running down so it was a fairly abrupt ending with a funny feeling something was missing. Am I happy with how it turned out? Well I don't hate it, but it definitely didn't turn out quite how I hoped. I think the pattern choices for the strips were not the best. I imagined more of that lovely black floral would show, but this is the first of several layouts and I definitely plan to repeat the patterns and include messy, painty mixed media goodness which is what Dyan is all about. I don't use it on layouts as often as I'd like (more on cards probably) so this series will be a good way to bring more of it into my album. I also don't want to deviate from using lots of pretty paper which is true to my style so I need to keep that in mind and try to marry the two styles together. I love it when it works out! There are some seemingly random embellishments on the layout. I think I mentioned on the video why I included them like the globe with the map of Australia - OK that one is pretty obvious since Dyan was travelling to Australia to teach. The double decker buses from Shimelle's first collection are very cute, but for someone who loves in Australia and tries to avoid public transport where possible, it makes them hard to use! Dyan doesn't live in London itself (she's actually not far from my frond Joy!) but it's a close enough association of me to use it and it's red. The colours I chose were also very relevant. I wanted to save red )for Dyan's hair) for the embellishments. I got the impression from what she was saying that she likes pink too. I used pink paint where possible and hope to use some of my work from the class in my layouts.